The Sunda are the largest unreached people group in Indonesia; their homeland is in the province of West Java. The area inhabited by the Sunda is called "Sunda Land". The Sunda live near the Javanese, Banten, Betawi and the coastal Javanese of Kulon. The Sunda are also called Priangan or Parahyangan. For many generations, the Sunda have lived in West Java. Traditionally, the Sunda have been farmers, both for their own needs and for commerce. Due to the fertility of the land, West Java is a great area for farming and plantations. This area has long been known as the "rice basket" of Indonesia. In addition to growing rice, there are also tea plantations, particularly in the mountainous areas. Secondary crops and fruits also grow well and abundantly. The Sunda are famous for their friendliness. 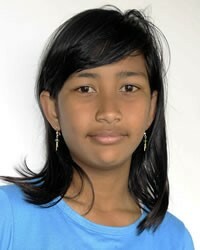 They are similar to the Javanese, particularly in the way they dress and the way they farm. The Sunda people place more emphasis on family and openness, whereas the Javanese tend to be more formal and hierarchical. Another difference from the Javanese is that Sundanese have a stronger devotion to Islam. Sundanese people believe that having a Sundanese character (kasundaan) is the best path of life. This character can be summed up as cageur (healthy), bageur (good), beneur (right), singeur (introspective) and pinteur (intelligent). This type of character has been pursued by people of western Java since the days of the Kingdom Salakanagara (130-362 AD). Although they live on the island of Java, the Sunda do not consider where they live to be "Java", but "tatar Sunda" (the land of Sunda), with its own culture. 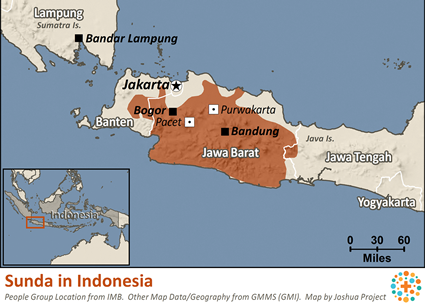 Someone who moves from West Java to Central Java or East Java is said to have moved "to Java." Industrial development and large housing projects have begun to change the Sunda way of life. Many Sunda no longer work as farmers. Many hold influential positions in the government, while others have become competent business people. In Sunda society, there are three authorities with strong influence: (1)the Muslim religious leaders such as teachers, preachers, or worship leaders; (2) the local government officials such as the regent and the regent's staff; (3) the shamans with supernatural abilities and the martial arts teachers. Almost all Sunda are Muslims. In many areas, Islam is mixed with Sunda traditional customs. The Sunda seek to protect their harmony with the natural world. They do this through traditional ceremonies for spiritual life and through group work for mutual assistance. In the legend of Lutung Kasarung, there is a belief that God incarnated himself in the world to protect humankind. This incarnation is called the dewata (gods and goddesses). View Sunda in all countries. Location in Country: Java island, Jawa Barat and Banten provinces; western third of the island, though generally inland from north shore; across border, Jawa Tengah Province, Cilacap regency.